Amparo Velasco is La Negra, cantaora with a difference. 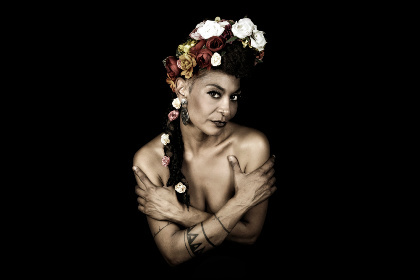 She sets her earthly expressive voice in an organic blend of flamenco, jazz, Latin and African influences to create her own singular style. Born in Alicante she grew up travelling with her parents in the Americas, living in Mexico City, Bogota, Sao Paolo and New York. As she says, “flamenco is my cradle because I am a Gypsy but I have listened as much to Jimi Hendrix as I have to Camarón”. 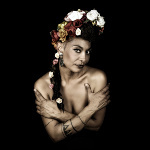 Age 20 she returned to Spain, reconnecting with her roots working as a backing singer for such flamenco luminaries as Jose Mercé and Vicente Amigo, eventually recording her debut album in 2006. A decade on, her third album Colores further refines her unique flamenco-based global mix that’s hard to categorise but easy to love.